Home → Franchise Facts → How Does A Franchise Work? Franchising is the ideal way for an ambitious entrepreneur to grow their business and achieve maximum returns from it with minimal risk. So how does a franchise business work? In essence, franchising allows someone else under licence and for a fixed period – a franchisee – to recreate your original business model somewhere else using your established systems and branding. Franchises can be set up to manufacture products, say soft drinks; to sell products, which is what car manufacturers do by licensing dealerships to sell their cars; or to provide services, such as hairdressing salons. As the franchisor – the owner of that original business model – you make money from the one-time upfront fee people pay to become your franchisee, then from the on-going licence fees that follow. 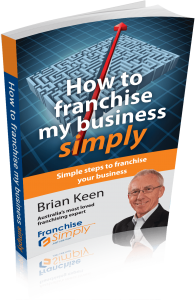 How does a franchise work for the franchisee? They benefit from buying into a tried and tested business model that’s already shown it can make profits, meaning they have a much greater chance of success than they would if they were starting up their own business from scratch to bring a product or service to market. If successful, franchisees may go on to hold multiple outlets. And how does a franchise work to grow a business long-term? Because franchisees are using their own money to build their own individual franchise business, franchisors don’t have to find the capital, or the energy, to develop new outlets themselves as they would to grow a business conventionally. McDonald’s, Subway and Domino’s Pizza all show how successful the franchise model can be when properly developed and controlled. But it’s not just in fast food that you will find them – automotive, cleaning and maintenance, health and fitness, financial services, pet-related franchises, gardening, wedding planners, relationship consultants, retail outlets for clothing and hardware, are just some of the 120+ sectors you’ll find them in. How does a franchise business work in vastly different industries? In exactly the same way. Whatever the sector, the key to success is always to ensure that each outlet is making an adequate return on investment and that the network of outlets as a whole is generating sufficient profit for the owner of the brand. To ensure that happens, franchisors must apply their brand rules strictly and effectively across the whole of their franchise network. If they don’t, the franchise brand may be in danger of dilution, it may start to look tired and stale, or out of step with changing market conditions … in other words, no longer fit for purpose. When that happens, it becomes increasingly difficult to attract new franchisees, and existing ones will feel let down. And that lack of franchisor support and engagement will be reflected not just in the franchisee’s profits, but also the franchisor’s. But, when franchisor and franchisee see themselves as working together in an effective ‘franchise partnership’, the mutual rewards can be significant.